Hello everyone! 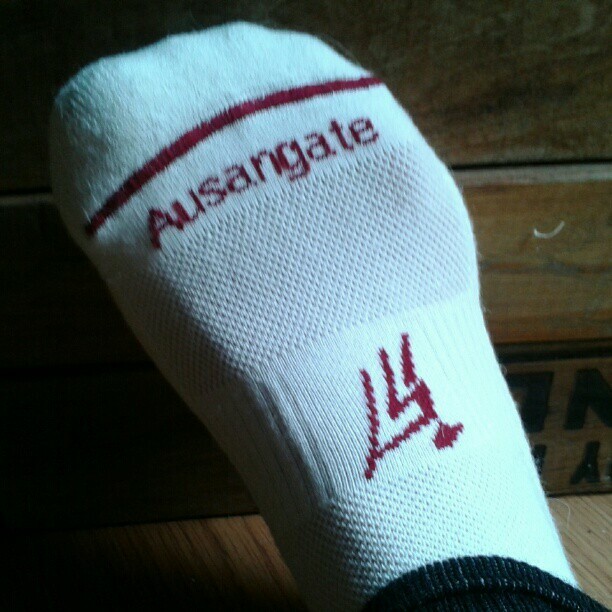 About a month ago I received three pairs of socks from Ausangate socks to test & review. When I opened the package I immediately felt cushion & softness. Being it has been quite cold in NW Georgia this past month I decided to try the mid-calf pair first. When I first put them on – the softness of these socks felt like no other socks I have tried before. The inside is nice & plush and the foot area has an amazing amount of cushion! Within a few days I wore the knee high pair of socks. There was the same softness & cushion – however, this pair being knee high did fit up to my knee.It was like wearing leg warmers! This pair has a compression feature in two areas – around the foot & around the ankle. Then on a warmer day I decided to try the crew socks. Again a great cushion & soft feeling. I wore each of these socks quite a few times. Each time I noticed none of these socks fell down into my shoe or boot I was wearing. Each pair fit perfect in the heal & toe area. During this time I wore a variety of shoes. From two different types of minimalist sneakers, to a pair of mid-calf boots – as well as wearing with no shoes when walking around the house. While temperature’s haven’t been hot enough to really worry about sweating — when wearing these socks with my boots outside or in the house – my feet never did sweat. At least a few times I was outside for a good part of the day in fairly cold temperature’s & my feet stayed very warm. One day while at State Guard training I was outside & standing for quite a long time. This day in particular was very windy. Normally when I do a lot of hurry up & wait during training I’m usually looking for a way to keep my hands & feet warm. This was not an issue. I never thought about it till later on & realized how my feet stayed warm the whole time. Sizing: I wear a ladies size 7. The socks I have are medium and according to their site this will fit women’s sizes 6.5 – 10. They all felt like a perfect fit. When putting these socks on I didn’t have to re-adjust the heal or toe area to find that sweet spot – they just fell into place as I pulled these socks on. 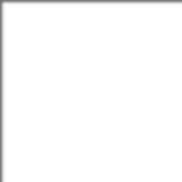 Washing & care: The manufacturer recommends to turn socks inside out when washing & tumble dry. Personally socks like these I usually do not throw in dryer & just simply lay on top of dryer when other clothes are drying. They come out of washer almost spun dry – so it doesn’t take long for these to be completely dry when laying flat on table or on top of dryer. When taking these out of the washer I did not notice then to be out of shape. 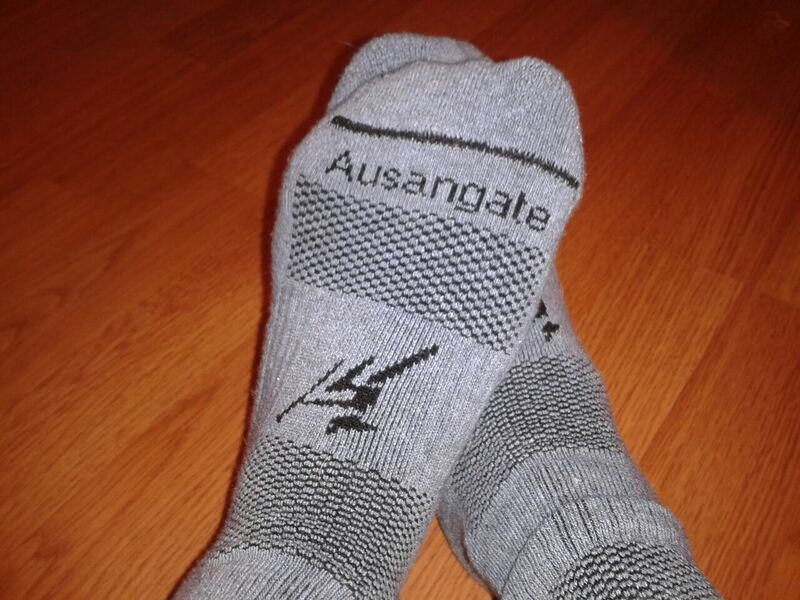 Let’s see what Ausangate socks has to say about their product. Here’s some info from their web site. Overall these are very comfortable socks to wear. I will continue to wear the mid-calf when wearing my mid calf boot during state guard training. Once the weather gets warmer I will report back & let you know how they perform in a boot during hotter weather. If you are looking for cold weather socks – the Ausangate socks are nice plush socks that will make your feet happy during any outdoor sport and everyday use. Disclosure of Material Connection: I received the 3 pairs of socks listed above for free from Ausangate Socks as coordinated by Deep Creek Public Relations.